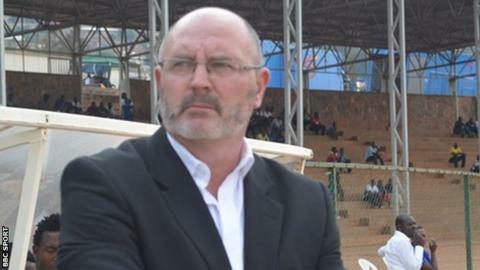 Bobby Williamson has been officially appointed Kenya coach after finally signing a contract with the country's football federation. The 53-year-old confirmed to BBC Sport on Thursday he had put pen to paper and will take charge of his club side Gor Mahia for the final time this weekend. Williamson, who has previously coached Uganda, said he had agreed a rolling contract, with a long-term view. Gor Mahia also said on its website the Scot will depart after Sunday's match. "Bobby is only with us for the match against Sony Sugar after which he will be taking up his new role as the head coach of the Hramabee Stars," said the Kenyan club's secretary general Chris Omondi. Williamson joined the club midway through last season and helped them clinch their 13th Premier League title.